Many South Carolina homeowners need help avoiding foreclosure. Fortunately, there’s a new program called the “South Carolina Homeownership and Employment Lending Program.” That’s a mouthful, so just remember this web address: scmortgagehelp.com. The program works through local agencies, and here in Charleston, that’s Family Services of Charleston, a well-respected local non-profit to whom I’ve referred clients to on several occasions. 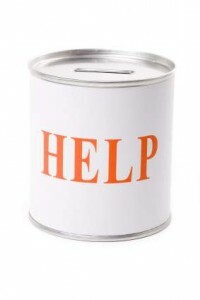 SC Mortgage Help is good news for homeowners who need help avoiding foreclosure. Chapter 13 bankruptcy can also be an option, but filing a bankruptcy for some of my clients is overkill. (See Stop Foreclosure With Chapter 13. This program may just be the perfect solution for many homeowners. Let’s hope so. For more information about South Carolina foreclosure law and issues, visit our foreclosure defense website, scforeclosureblog.com. And for frequently asked questions, check out the foreclosure FAQ page of our firm website. Nice post!! I loved your post.. Thanks to share the very useful information…. Good and keep it up….I have to bookmark this blog..